I've been quite vocal of late telling you how I've really upped my game looking after my skin and I'm certainly seeing results. I'm throwing in acids, vitamin C and retinol but have to be honest I tend to forget about my lips even though I really dislike them and I'd change them tomorrow if I could! 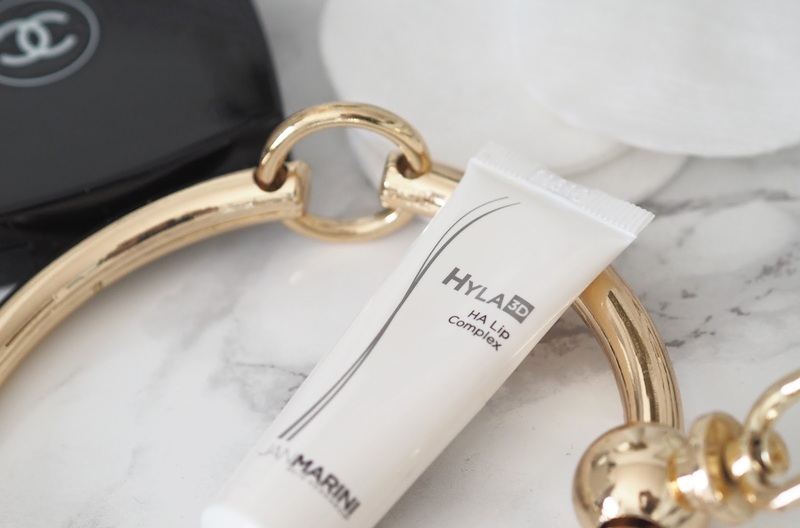 Jan Marini is a very respected brand within the professional skincare industry, a brand I have used before, (still using their bioglycolic facial cleanser), and I've been given the opportunity to try their Hyla 3D HA lip complex*. Hold the lip fillers!!!!! As we age our body looses the ability to produce and maintain youthful levels of hyaluronic acid, we loose that volume, we get fine lines and wrinkles and our skin can become dehydrated. Our lips are no exception. This product tackles these problems with a 3 dimensional approach, helping to restore hyaluronic acid and volume. The formulation combines multiple forms of HA for deep, long lasting hydration, advanced technologies to enhance HA and peptides and antioxidants to help boost collagen and elastin. This cream is quite thick but applies nicely. It does say to apply morning and evening but I stick to just using it in the evening as I don't want to be wearing it under my lipstick, although you can. I apply around the outside of my lips too as it helps with those pesky lip lines. 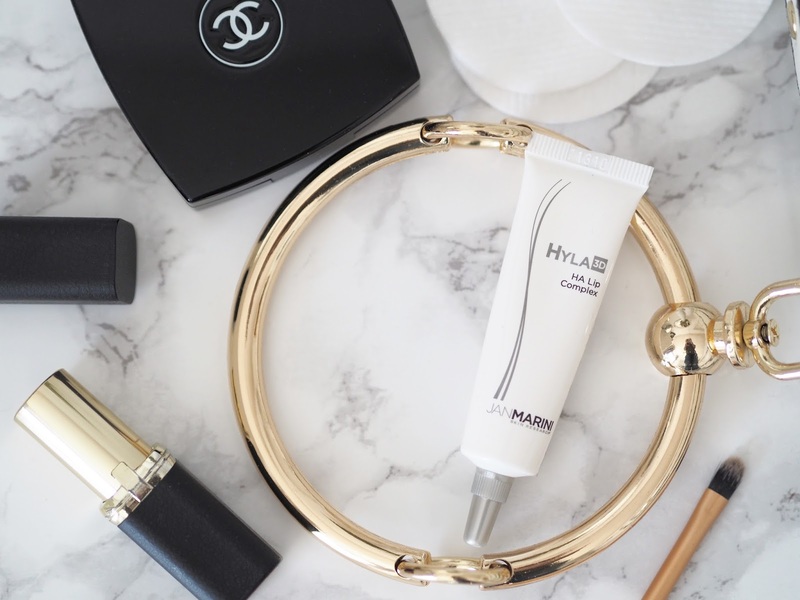 This little tube says it will restore hydration and reduce the fine lines and wrinkles for a more youthful, contoured look and I can honestly say it's done that for me. 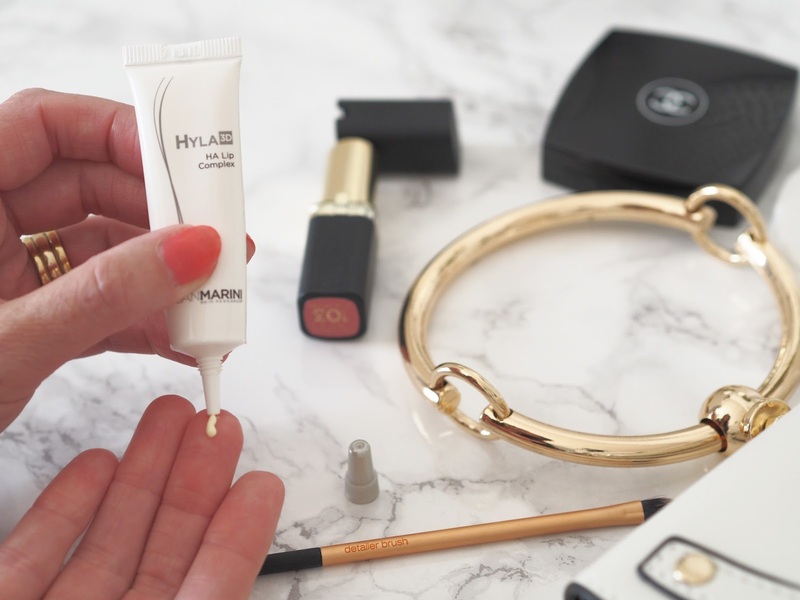 Okay, so there's no dramatic change when I look in the mirror in the morning, but my lips are definitely less lined when I've used this and they look the tiniest bit fuller thanks to the hydration and plumping from the HA, and that makes me happy! For more info on the Hyla3D lip complex and to purchase click here. The wonderful ladies at Dermacare are always happy to answer any questions you may have.